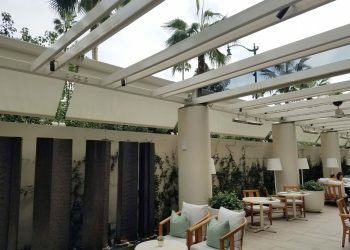 As part of the $200 million Waldorf Astoria Beverly Hills Revitalization Project, Oasis West Realty (owners) and the design team of Pierre-Yves Rochon, Perkins + Will, and Gensler wanted to create a world-class urban resort invoking the Hollywood glamour of the 1930s, ’40s and ’50s. 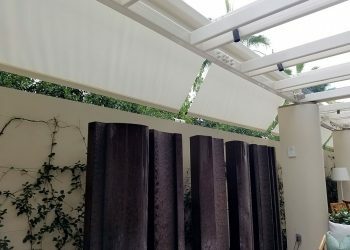 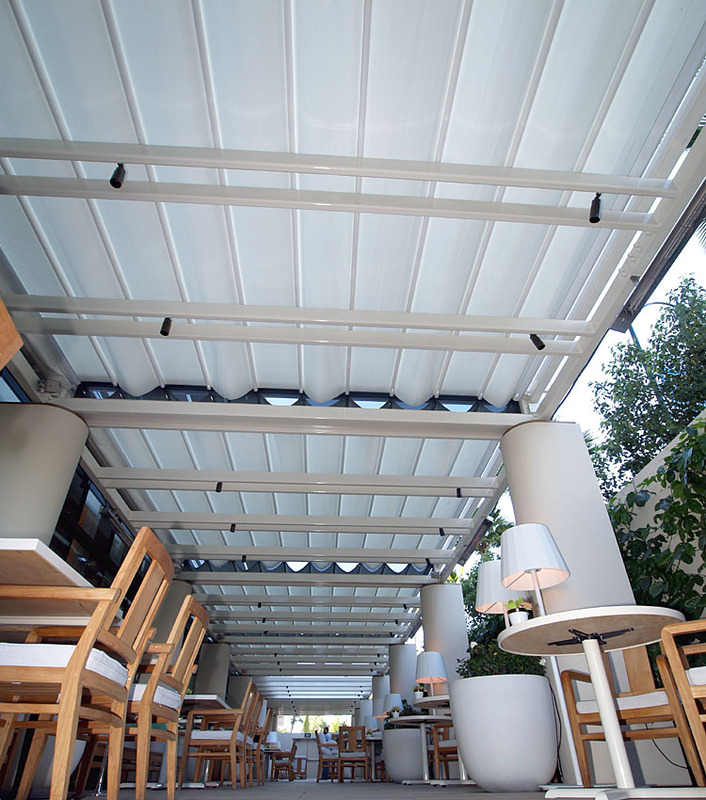 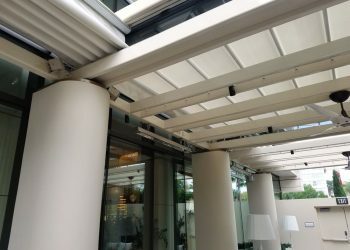 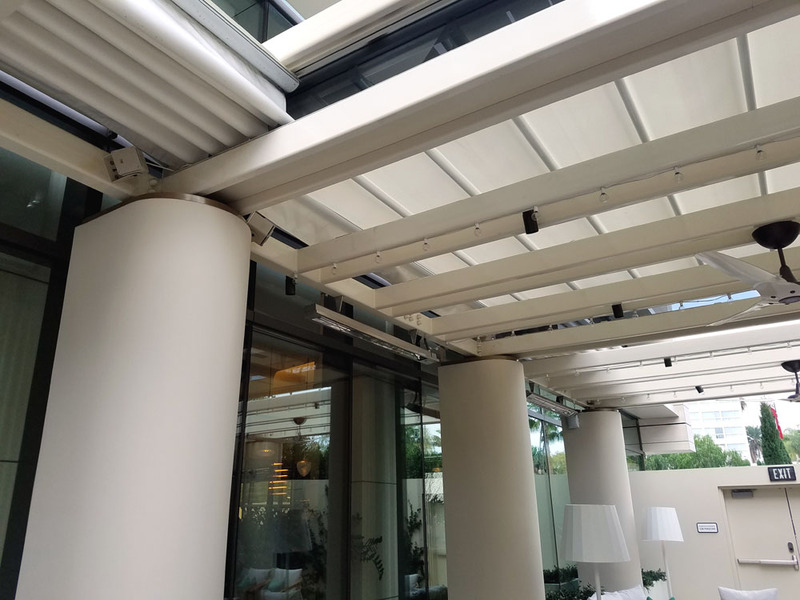 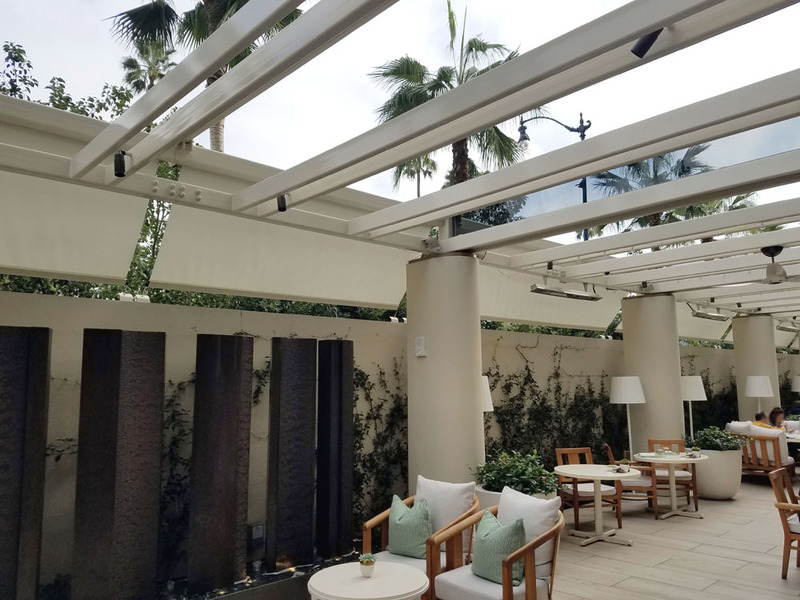 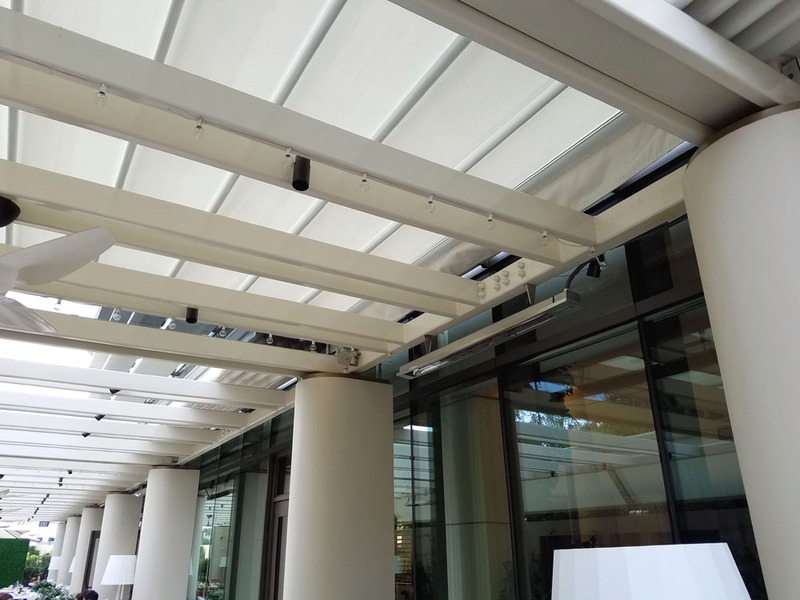 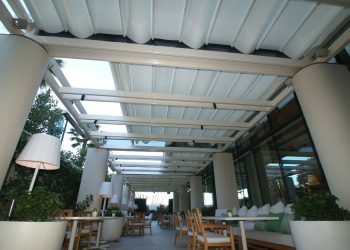 Oasis West Realty and Matt Construction (GC) approached Eide Industries for engineering, fabrication and installation assistance of the retractable canopy system for the outdoor patio area of the newly constructed Jean-Georges Restaurant. 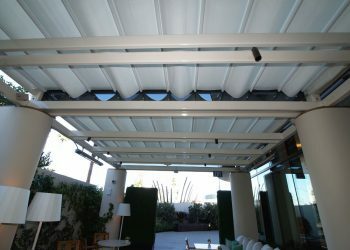 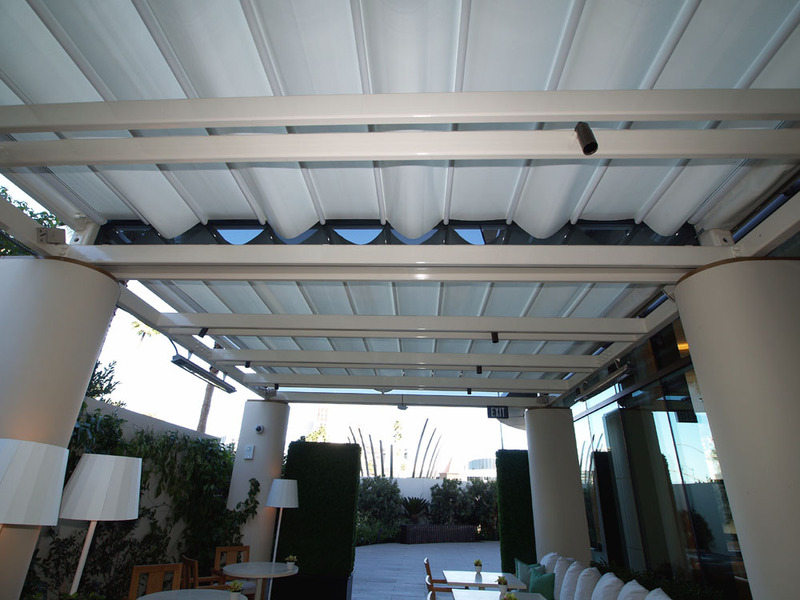 Six motorized retractable canopy systems were mounted onto a stationary steel frame. 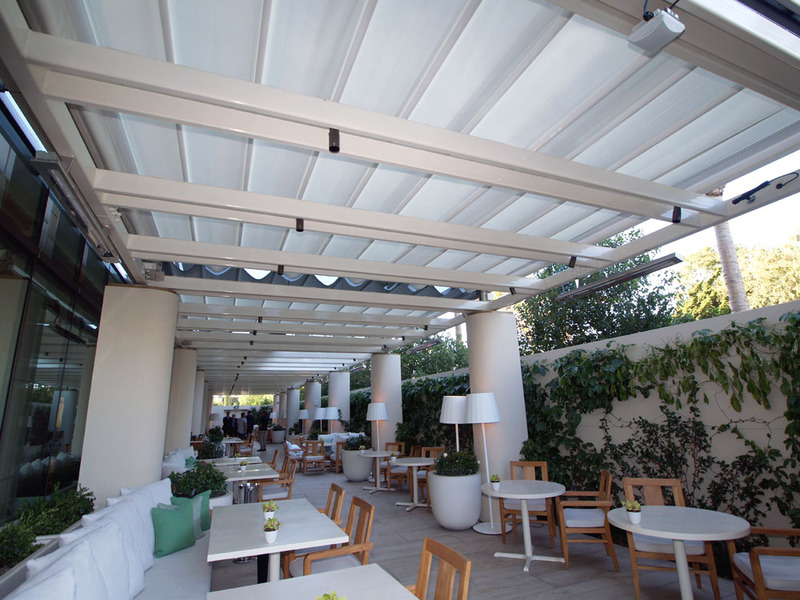 The frame structure spans 12′-4″ high (with 10-3″ head clearance) by 18′ projection by 108′-9″ long . 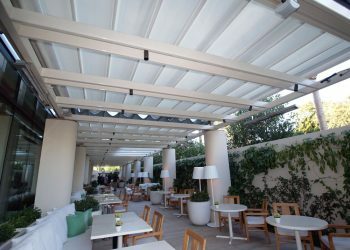 Flame-retardant and waterproof Serge Ferrari Soltis W96 fabric was selected to covers the entire 2,127 square foot area. 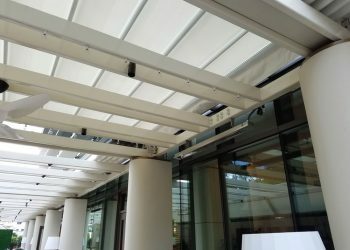 Eight cable-guided retractable screens (ranging in sizes from 9′-7″ to 15′-6″ wide) were later installed to the patio frame structure for increased protection from the elements. 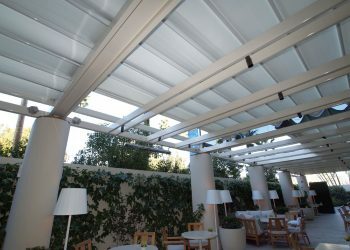 Matching Serge Ferrari Soltis W96 were used on all each protective screen.